Powershell is the evolution of the old Windows console but with many improvements, in fact as a Linux user I have found many similarities with the shell that includes any Linux OS by default and I have loved because they have chosen to choose the best and implement it in Windows. This shell is implemented by default in the version of Windows 10 and is a full version. It is possible to make automatic administration scripts using the language of this shell very similar to the linux script, I found it very useful for example to be able to make applications with this language in a simple way, for example in just one line of code we can create a application that allows the massively rename of all the files that are in a given directory. The handling of user input messages also work very fast and with high compatibility, read for example the use of the ESC or ENTER keys through Powershell is very simple and it is possible to do it in a single line of code. The default font that is included in Powershell I think could be better, due to the operation of the console always have to use monospaced fonts and the one that brings by default looks very bad with tabular data. I recommend that you use Powershell on the Windows command console because it is much more powerful and also costs nothing to use it since Windows 10 is installed by default in the operating system. If you are a system administrator, the use of the new advanced Windows console is almost mandatory if you do not want to waste your time. Previously, the normal command console based on BATCH files (.bat) was used, which was very limited to perform administration tasks in Windows, any simple program required many lines of code to work. Powershell has improved a lot in this aspect and it is possible to make simple programs in only 20 lines of code. "PowerShell is a modern and powerful tool"
For people who use command lines from school, Powershell is a wonder. The language of the console is very complete It is very easy to learn and with great scope when it comes to IT administration. Powershell also allows you to control certain applications such as Microsoft Exchange, SQL Server or IIS. I am a fan of Powershell. I do not have negative comments. Powershell will replace the classic CMD in future versions of Windows. Take advantage and learn to use it. It is used to do administrative tasks in a very fast and simple way for system administrators. Powershell allows us to create custom names for different functions. "The Best Scripting Tool for task based work for Windows Operating System"
The tool helps us to work on modules, to generate the required data in specific file extensions like txt, or Comma Separated Value (CSV), which helps a technical support operators to reduce manual work. When the command is wrong/syntax error, (trouble shooting the command), some suggestions are not clear to understand like where we have a mistake, And hoping it should generate some more extension formats like DB, MF, etc, in next versions\updates. This will be the free scripting software that everyone can found in their operating system if they have some windows8/10 platform. Easy to learn and working. Apart from that,According to me, this is the best scripting tool on behalf of my experience. "Powershell is a solid tool for any IT Professional"
I like the absolutely massive range of applications that Powershell can interact with and manage. Everything from Windows to the Exchange Cloud to SharePoint to Active Directory is fair game for Powershell. If it doesn't do it out of the box, there is probably a cmdlet extension of plugin that can give you the functions you're looking for. I wish that the Powershell shell program came with the Office 365 cmdlet packages already installed. In the very cloud focused world nowadays, I am surprised that we don't already get the O365, Exchange, and SharePoint modules by default in Windows 10 Pro. There are a ton of online resources for Powershell. I would head to third party resources before tapping any Microsoft direct help sources. The Microsoft direct sources always seem to have some trouble. To make up for this, there are many highly active communities online. We administer parts of our Exchange, O365 and SharePoint environments with Powershell. We also utilize Powershell for some unique active directory activities. "All the power of .NET from your command line"
This is a massive upgrade from the days of having to do batch files to do OS level things in Windows. It also pulls in multiple paradigms. Friendly to both developers and system admins. There can be six different ways to do things and you can mix all of them together. With this great power I mentioned above comes the responsiblity to make sure you don't mix paradigms and make a mess that is hard to understand. Pick a paradigm and stick with it across your team. Otherwise you will have a messy bit of code on your hands and it would be challenging to maintain. I'm writing an installer that runs on Windows. Also my company is using it to deploy IIS applications and SQL Server database changes. It's our devops tool. There isn't much to dislike at all but you will see that you have a lot of stuff to learn if you're going to be using it. It will help you out where needed though. When in doubt, google powershell method. "A super powerful tool for Windows management"
With PowerShell I can navigate in the Windows registry, manage processes, delete files from directories, obtain information about the computer model, obtain IP addresses and many other things. There are some commands syntax is really complicated and I must investigate how to use them. For a Windows administrator, this is a vital tool. With PowerShell we carry out the management of users, devices and directories. "Finally a command shell that I can use everyday"
For someone who learned how to use commandline, Powershell is a breath of fresh air. Object based commands are a fundamental piece to successful command shells. Profile management can be a pain if you have a roaming profile. This can be worked around fairly easily in a domain based environment (where roaming profiles are the most common). User management, quality assurance for setting permissions and provisioning accounts, providing mobile troubleshooting tools for support personnel. "Better than I ever expected, and growing better every year"
When upgrading the version, older versions tend to stay around and become default, unless specified. It's rare that this happens, but I have seen it. "Windows PowerShell: The Non-GUI handy tool"
The best part is to work on platform if you love commands and syntax. Easy to implicate all the commands and also you can copy-past your regular commands easily. The only thing which makes difficult from user perspective is you have to look and check very carefully and go through each word of the error message if any commands fails to run. I user to deal with all the Exchange functionality like creation of Shared Mailbox and Adding/Deleting user from the group. "Command Prompt taken to the next level "
It lets you create your own commands and scripts and has a lot of neat functions and tools you can use. The thing I dislike is Power Shell is not easy to use. I often have to research a lot of the commands and what they do. Not easy to use for beginners, requires some development skills. Be patient when first using and do a lot of research of the commands and what they are suppose to do. I use Power Shell in creating images for deployment. I use it to remove the bloat of apps that comes with Windows 10 and to export import Startlayout menu like I want it to be. "Super Powerful - Can Do Almost Anything"
Extremely powerful, and far-reaching in its scope. I can manage the vast majority of our infrastructure from a PowerShell window on my desktop. Can be a bit clunky and unintuitive. It can take a long time to get used to the syntax and the parameters for common cmdlets. "Microsoft Powershell is extremely powerful"
Microsoft Powershell allows you to make changes that you can not make through the user interface. It also gives us the ability to schedule and manage tasks. It can be really complicated to get used to the syntax, but it's not a problem. The future of IT management is in the hands of Microsoft Powershell. Through Microsoft Powershell we look for information, manage tasks, create users, among other things. 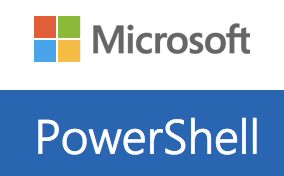 "Learn Powershell, you won't regret it"
Its complexity is both its strength and its weakness. Essential for all Windows Administrators in Domain environments. You cannot be a Windows administrator and NOT use powershell. Not learning its features and gaining experience will severely curtail any IT workers career going forward. Almost everything, user managment, user creation, mailbox managment, software installation, SCCM management - the list is long. "The Future for Windows IT Administration "
With each new version I become happier and happier with powershell. i have no complaints! Best scripting tool by far. It's really awesome the level of automatization that you can get on Exchange and Active Directory using this tool. It's really great what Microsoft did when they added Office 365 support to it. Stackoverflow to find scripts that you easily modify is the way to go. Mostly, automatization. It's helped us greatly with scripts to perform tasks automatically. Easy to use and the design is nice. Love it. Need to add double quote to the cd command. Legacy plugins that have not been migrated to modules. Flexible task automation and deployment. "Very powerful scripting language "
That you can use any .Net method inside of PowerShell. There isn't a great number of really good scripting interfaces. Check out Visual Studio Code with the PowerShell extension. Quicker than using a regular language, also can be used on different Windows platforms without much work. * We monitor all PowerShell reviews to prevent fraudulent reviews and keep review quality high. We do not post reviews by company employees or direct competitors. Validated reviews require the user to submit a screenshot of the product containing their user ID, in order to verify a user is an actual user of the product. Hi there! Are you looking to implement a solution like PowerShell?